Texana Center is excited to offer you an opportunity to leave a legacy in Fulshear by donating to our “Yellow Brick Road Campaign” a part of our capital campaign. Your donated brick will be a step towards our “Emerald City” - a campus on FM 359 to serve children with autism and adults with intellectual disabilities. Show you care, leave your footprint on our campus and take us further down the yellow brick road to our $8 million goal and home! We do not want you to wait until our capital campaign is complete! 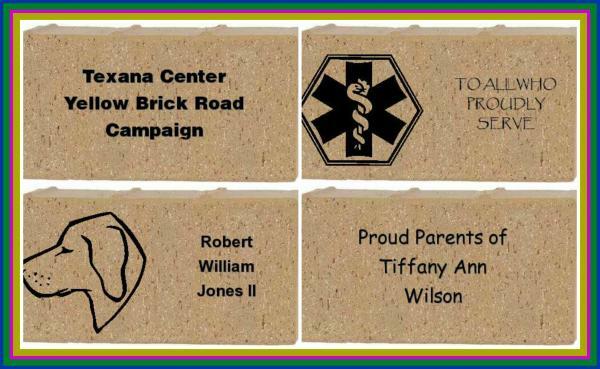 So when you order a brick through the ‘Yellow Brick Road Campaign’, you will receive a “wood brick replica”. 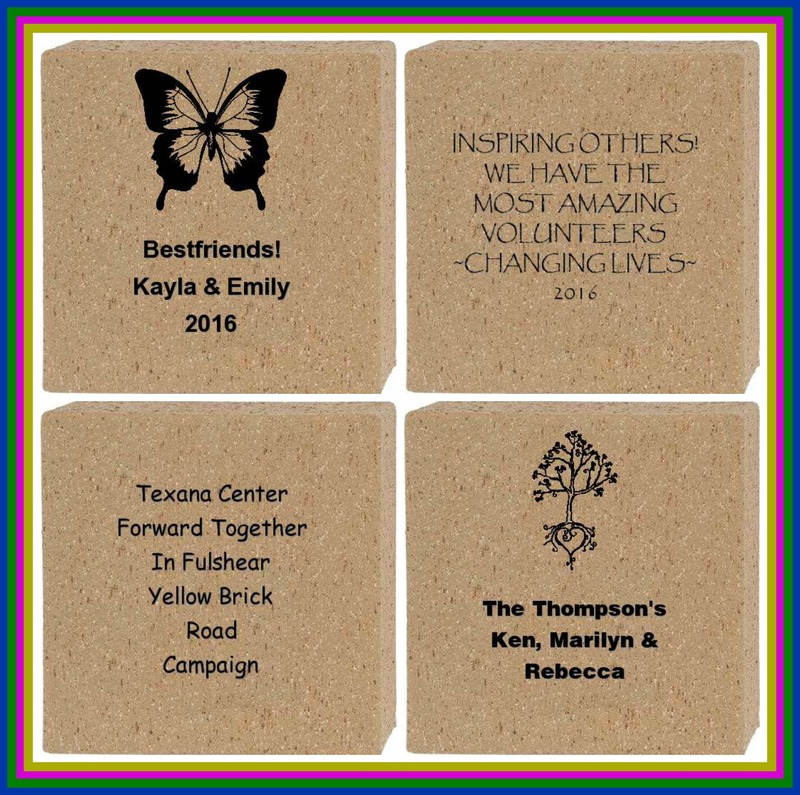 This ‘ brick’ will be handcrafted by our adult clients with intellectual disabilities through our Texana Décor & More… program. We take wood that would otherwise be thrown away and fashion it into décor items for the home and office. The plans for the Fulshear campus include a retail center for Texana Décor & More.. Please email info@thatsmybrick.com with your custom image for approval. Please include a signed and completed copy of the Letter of Agreement attachment below. Please get the image approved by That's My Brick!® before ordering your brick.